The Faculty of Natural and Agricultural Sciences Ethics Committee monitors the ethical nature of research and teaching undertaken in the Faculty of Natural and Agricultural Sciences (NAS) in respect of biotechnology and genetic engineering, human subjects in research as an individual person, a group or a community; occupational hazards and biohazards, as well as the use of data, which may impact on man, animal and plant life and the environment. The application process has evolved and is now fully online. 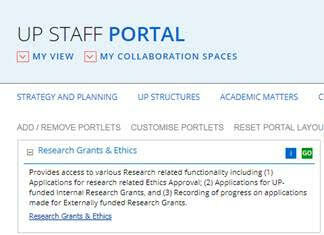 On the UP Staff Portal, UP Student Portal and UP Guest Portal, find the “Research Grants & Ethics” section. Please take note that the submssion deadline is the first (1st) of every month. 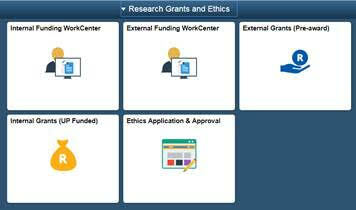 Applications for ethics at the University of Pretoria is extremely important in order to protect the University and its Faculties as well as the researchers from possible legal action. In order to achieve these goals all projects in the Faculty of Natural and Agricultural Sciences that involve Biohazards, External data, Human participants or GMO's need to submit an application for ethical approval. Please note that you can not proceed with the project until ethical approval has been obtained. All applications involving animals in research and training are reviewed by the Animal Ethics Committee (AEC) which is a centralised committee for all faculties and departments at the University of Pretoria. If you would like to apply for ethical clearance and your research and or training involves the use of animals, please go to the Animal Ethics Committee website.